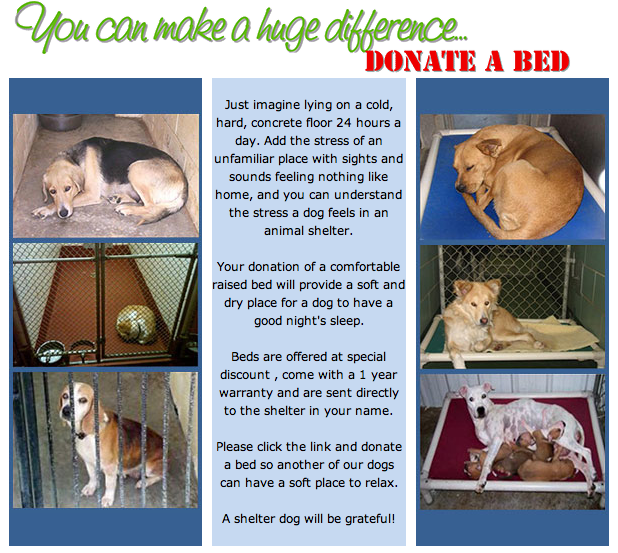 I was recently browsing the website of our local SPCA shelter and found this ad. It nearly broke my heart and made me so happy all at the same time. It's horrible to see these animals sleeping on a cold, hard floor, but it's comforting to know that we can help! And in honor of shelter dogs, the best kid of dogs there are if you ask me, here is a picture of our own shelter baby, Remington. He's sporting his new fleece-lined hoodie in preparation for the Oklahoma winters coming our way. And here's another one of him looking for his squirrel friend. He would sit and stare for hours if I let him.